Five people were killed in the Batken region in southern Kyrgyzstan with the gathering the mudslide, caused by heavy rains. The incident occurred on the stretch of the road Osh – Aidarken in the highlands, said the Agency. “Powerful a debris flow fell on the road, which at the time was parked the car brand НondaCRV, in the car were six man, the current brought the car with him”, – said the Agency interlocutor. He reported that arrived on the scene, rescuers managed to save only children who were with adults in the car. The Road Osh – Aidarken was closed for the passage of the emergency workers started to clear the road from rocks and debris. 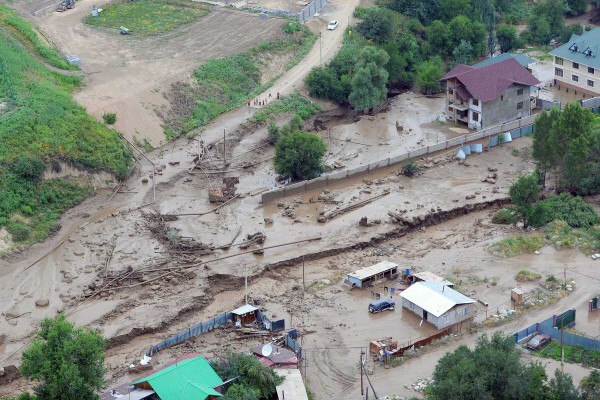 The Department also reported that another mudslide came down in Kadamjai district, Batken region, flows dirt and stones had destroyed the bridge, due to the damage line power left without electricity in several villages. Kyrgyzstan warned that the rains in the South of Kyrgyzstan will continue for the next few days, increasing the risk of mudslides, landslides and lifting the water level in the rivers.